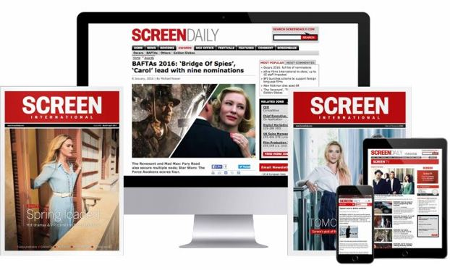 UK film distributors are investing more money intomedia advertising according to the Film Distributor's Association (FDA), thetrade body for UK theatrical film distributors. Inthe first six months of this year the territory's distributors spent $139m (£79.8m)on media advertising, a massive increase of 16% over the same period of 2004when $120m (£68.9m) was invested. Thelion's share was channeled into television spots which accounted for 75% ofthis year's spend, $58.4m (£33.5m), to date. Outdoor poster campaigns followedwith $46.2m (£26.5m), then print media $25.8m (£14.8m) and radio spots $8.7m(£5m). Whileadmissions for the first six months stand at $74.9m, down 8% from 2004's firsthalf 81.6 million according to Carlton Screen Advertising (CSA), and NielsenEDI tracks box office just negative at minus 1%, the FDA remains positive forthe year's outlook with promotional investment at a high and strong product tocome. "Thewider the choice of quality films, whatever their provenance, the greater theaudiences are likely to be," says Mark Batey, FDA chief executive. "There havebeen a number of highlights in 2005 already, but we firmly believe the best isyet to come. With magical big screen entertainment like King Kong, TheChronicles Of Narnia and the fourth Harry Potter adventure comingsoon, we are looking forward to another fantastic year." TheFDA also highlights the positive trend in the diverse audience tastes seen thisyear with five foreign language releases (Downfall [Ger], Waqt[India], A Very Long Engagement [Fr], Kung Fu Hustle [China] and Bombon- El Perro [Arg]) accounting for over one million admissions collectively.Downfall, released by Momentum Pictures, became the highest grossing Germanfilm of all time in the territory. Other than US and UK product, titles from 28countries saw release in the UK between January and June. Cinema attendance in the UK is up by 14.5% over the first half of the year, according to the latest figures from Film Distributor’s Association (FDA). The Film Distributors Association (FDA) is launching a campaign in UK cinemas this weekend appealing for audiences’ help to combat film theft.